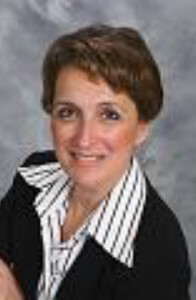 Cynthia M. Lifson established her law firm on the first Monday of October in 1993. She concentrates on matters related to families, including domestic relations, estates and trusts, and small businesses. In addition to handling litigated matters, Cynthia has been a mediator since 1996 and has represented both husbands and wives in many negotiated settlements in family law cases. Cynthia has also represented clients before the Maryland General Assembly since 1994, specifically the Maryland Network Against Domestic Violence, the state’s formally designated coalition dealing with domestic violence issues. As an advocate before the Maryland General Assembly, Cynthia has been involved in the passage of over 100 statutes and has also been involved in stopping proposed legislation that would negatively affect the interests of women and children in Maryland. Cynthia is an active member of her community. A graduate of Leadership Howard County, she currently serves on the Board of Trustees of the Community Foundation of Howard County and was one of the original members and continues to serve on the Board of Directors of the Howard County Collaborative Professionals. She has also served as a Commissioners on the Maryland Commission for Women. In October 2016, she will begin a three-year term as a member of the Alternative Dispute Resolution Section Council of the Maryland State Bar Association. By temperament and training, Cynthia is committed to harmonizing divergent points of view and to resolving disputes respectfully. Cynthia received her formal education at Smith College, the Johns Hopkins School of Advanced International Studies, and the University of Maryland School of Law. This site is for informational purposes only and does not provide legal advice. Contact a legal professional to discuss your legal matters confidentially. Membership in our organization does not indicate endorsement of any professionals.